Cherokee Media Group president Bill Zadeits had a big surprise in store for him during today’s opening remarks at Used Car Week. The industry leader was chosen by the National Auto Auction Association as the 89th Warren Young Sr. Fellow. The lifetime distinction was presented to Zadeits by Mike Browning, the incoming NAAA president. NAAA will also be donating $2,500 in Zadeits’ name to the Warren Young Sr. Scholastic Foundation. Ron Smith, owner and principle of Cherokee Media Group, is also a Warren Young Sr. Fellow. Another pioneer in the remarketing industry was honored Thursday at the National Remarketing Conference, as well. Ricky Beggs, the recently retired senior vice president of Black Book, was recognized with Auto Remarketing’s Lifetime Achievement Award. The award, sponsored by AutoVIN and AFC, recognizes lifetime contributions to the remarketing industry and was presented to Beggs by Tom Cross, president of Black Book, during an awards presentation mid-morning at NRC. The award is in its second year and was presented to Don Fowler, senior director of business development at AutoVIN, at the 2014 Used Car Week Conferences. Many more in the industry are being honored today at the NRC event, as well. 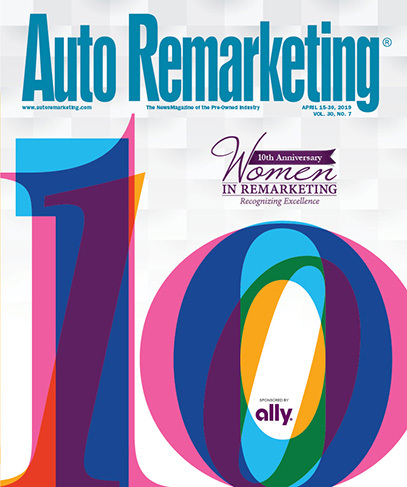 The inaugural Remarketing & Used-Car Industry 40 Under 40 will be honored during a luncheon, and this year’s Women in Remarketing Class will be on site for an awards ceremony and panel discussion this afternoon.